Welcome to this luxurious & custom classic home built by prestigious Prominent Homes located in the sought after Benchlands neighborhood of Juniper Heights. This gorgeous home offers a bright, open floor plan on 3 levels of living and every detail throughout is impeccable. 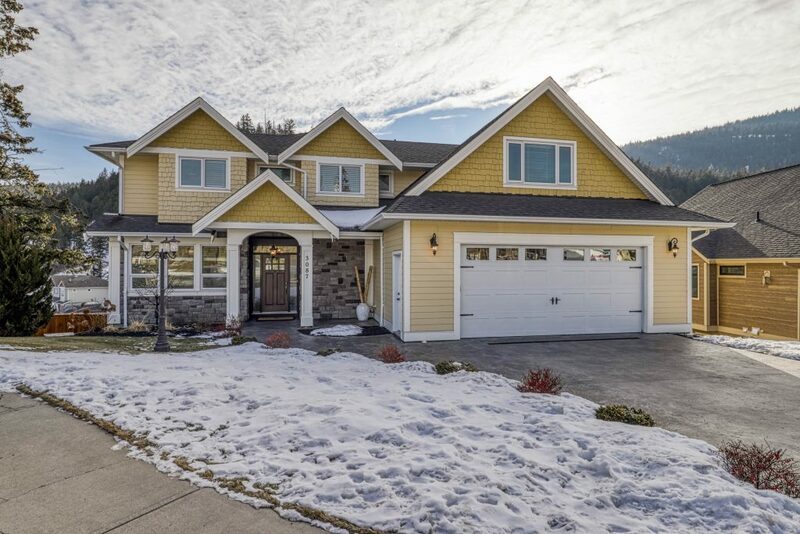 The home features 4584 sqft. on a 10,872 sqft. property in a quiet cul-de-sac with spacious entertainment size living and dining areas, crown molding & wainscoting throughout, coffered & beam ceiling on main floor, energy efficient windows and custom kitchen with quartz countertops, stainless steel appliances and Kohler farmhouse sink. Distressed oak hardwood floors & wool flooring in basement. Off the kitchen, step out onto your covered balcony and enjoy the peaceful mountain views. Main floor additionally features office, powder and mudroom. The upper level features fabulous master with walk-in closet & spa master bath featuring heated marble flooring & heated towel bar, 3 additional bedrooms, two bathrooms, laundry room & rec room. The lower level offers a fantastic family room with gas fireplace, wet bar, private movie theatre with fibre optic star ceiling with quality built in surround sound, 2 additional guest bedrooms, a bathroom and a door leading out to covered patio and private park like yard. Relax and enjoy the salt water above ground pool and brand-new salt water hot tub. Property is fully fenced, including U/G sprinklers & natural gas BBQ hookup. Extra large garage with heated workshop. Schools, hiking and biking trails are within minutes of your front door!